Saturday September 7th car show and BBQ cook off. 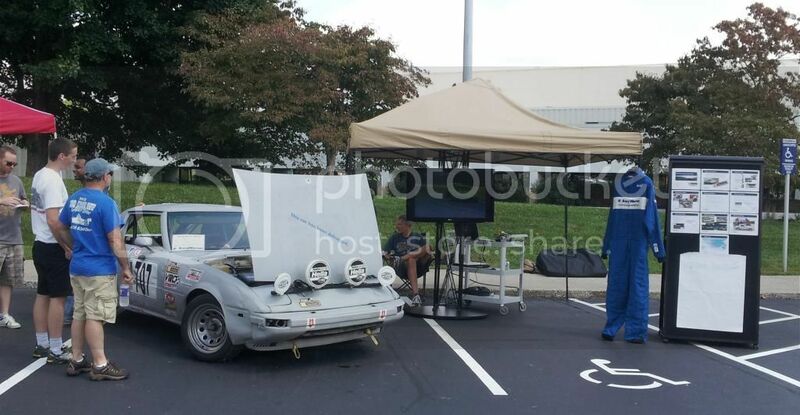 We will have our ChumpCar on display, and IT is setting up a fancy multimedia display with a big flat screen they bought for a CEO visit with a slide show from VIR. I will post some pics from the show next week. What all can we expect to see from a BorgWarner car show? That's not that far from me. Just a bunch of cars and bikes owned by people who work here at the plant. I believe they are going to have a few people bring cars who BW sponsors too. Plus BBQ cook off. Not sure how big it will be, I missed it last year because I was working in Germany at the time. Speaking of BorgWarner, what a great bunch of people to deal with. BW is a major sponsor of our Pikes Peak team. Their products, especially the new EFR line of turbos are far superior to anything on the market. Had we been closer to NC, we'd have our FR-S at the show. We had the whole team out in force for the show, it was a blast. 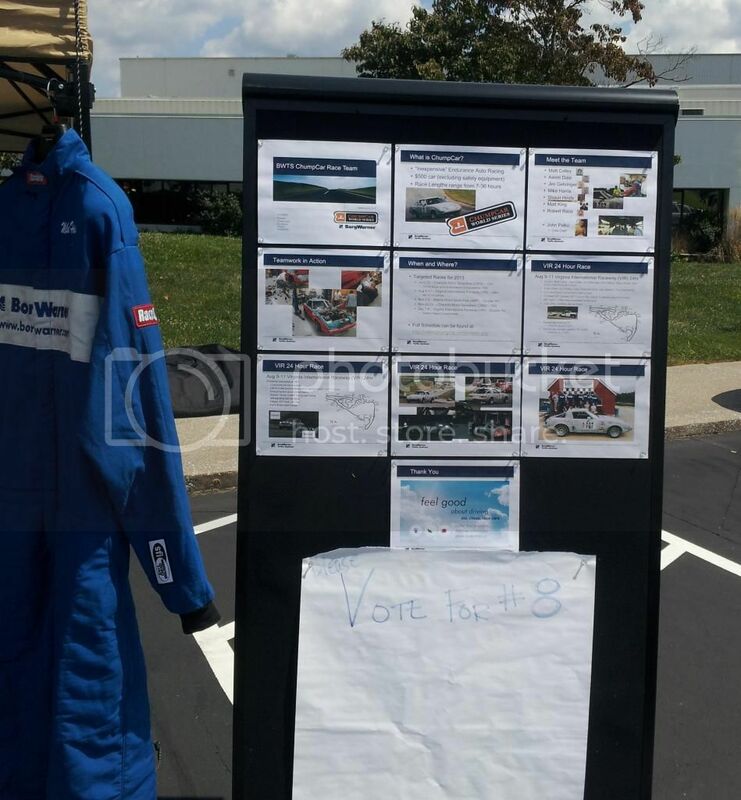 Our display turned out nice with slide shows and videos running from the 24hr at VIR. We left the car exactly like it was at the end of the race with all of the oil, dirt, and brake dust still on it, and both sides showing battle marks. We were awarded 2nd best in show behind one of the Harleys. 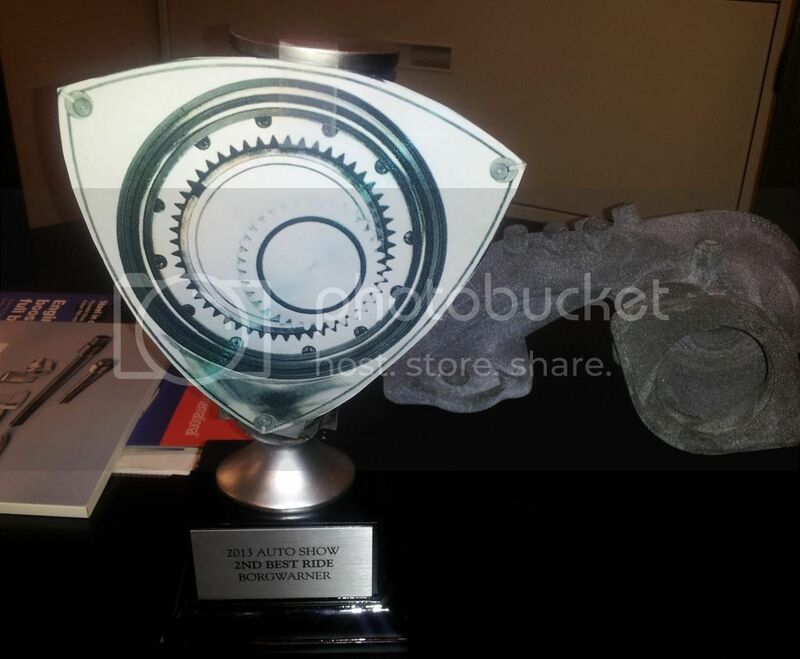 They also had a loudest ride award, we tried to dissuade them from having the contest in the first place, but some people really wanted it, probably the Harleys, who had obviously never heard an open header rotary run. Since they were having the contest we came prepared with a cordless impact and a skinny co-op who could get to the header flange so we decided to make them pay. Officially they claimed that we tied with a fire truck with all of its sirens and horns going, both us and the fire truck maxed out the meter but they never got closer than 150ft to the car. Since we love irony we are using the $25 prize for loudest to buy new exhaust hangers to replace the ones that failed at VIR. 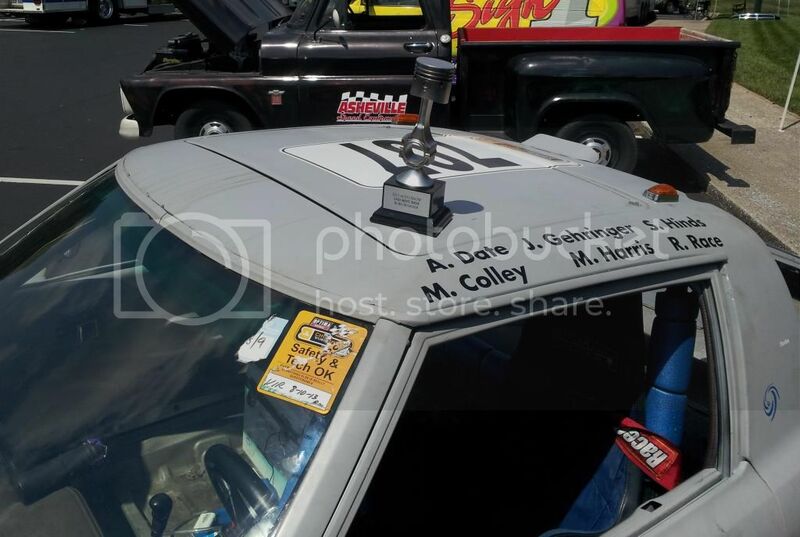 Speaking of irony the trophy didnâ€™t exactly fit our car so we made it betterâ€¦â€¦â€¦. 2016 show this Saturday September 10th. I will have the BW ChumpCar at the show and we normally have a pretty nice assortment of other cars. Plus free BBQ for all who show up, and a chance to tour the facility to see where we manufacture and test turbos. Sorry to miss out but I'll be at Richmond workin NASCAR seems my chumpsperance is needed there..